September exports rose 14.5 per cent from a year earlier, the fastest pace since February, the customs data showed. BEIJING: China's vast export engine unexpectedly kicked into higher gear in September, producing a record trade surplus with the United States that could exacerbate the already-heated dispute between Beijing and Washington. Analysts said last month's strong export growth - which might indicate US tariffs are not biting much yet - is unlikely to be sustained. But the robust numbers reported on Friday by China's customs agency - the last ones from China before US congressional elections on Nov 6 - could prompt a reaction from US President Donald Trump. September exports rose 14.5 per cent from a year earlier, the fastest pace since February, the customs data showed. That was well above August's 9.8 per cent and a Reuters poll forecast of 8.9 per cent. A weaker yuan, which has depreciated about 6 per cent against the dollar this year, may have taken the sting out of the tariffs imposed on $250 billion of exports to the United States. Despite concerns from some officials about the yuan's depreciation, US Treasury staff have not recommended labelling China as a currency manipulator in a coming report on foreign exchange rate practices, according to media reports on Thursday. 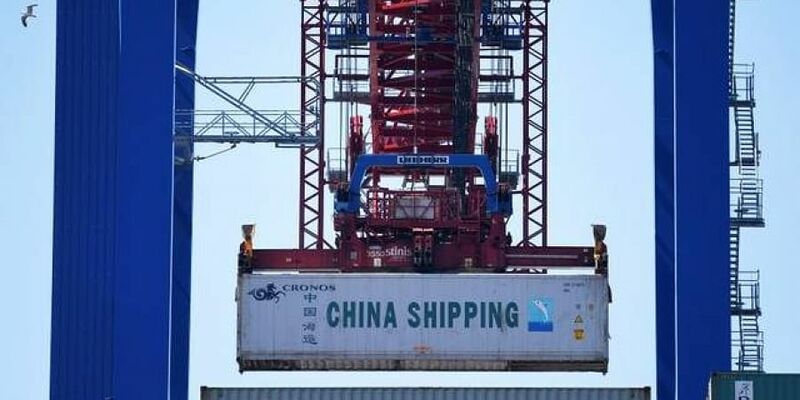 She cited a jump in exports of electrical machinery - the biggest export item from China to the US - as sign exporters might have pushed out shipments ahead of the implementation of the latest tariffs on $200 billion in Chinese exports. China's exports to the US continued to rise at a double-digit clip in September compared with a year earlier, while imports fell for the first time since February. Imports rose 14.3 per cent in September, versus a 19.9 per cent gain in August, slightly missing analysts' forecast of a 15.0 per cent growth. China's economy is feeling some heat from tariff dispute and signs of slowing that prompted the central bank on Sunday to loosen policy by cutting banks' reserve requirement ratio (RRR) for the fourth time this year. To shore up growth, Beijing has pledged to increase export tax rebates from Nov. 1 for the second time this year and promised to cut the corporate burden on a larger scale to help struggling Chinese firms. The International Monetary Fund on Tuesday cut its global economic growth forecasts for this year and next, saying that the U.S-China trade war was taking a toll. It also slashed China's growth forecast for next year to 6 per cent from 6.4 per cent.